The information about 5th-generation mobile a.k.a. 5G has been cooking for more than a year now, however, we are finally starting to see some research and development. Considered to be the next big thing in wireless communications, the so-called 5G can radically improve bandwidth, reliability and other crucial factors as well. It is also set to enable extensive development on the Internet of Things apps and solutions, for public, healthcare, Robotics, and numerous Industry use cases. Another primary reason why a majority of the wireless carriers are excited to shift towards 5G is its versatility (array of use cases), low latency between a device pinging and getting a response. In this article, we have listed out the important use cases of 5G in the upcoming days. According to a lot of experts, the arrival of 5G can unlock the full potential of VR and AR technology. With 4G, there are lots of limitations including bandwidth, the latency and more, that cuts down what can be done at present. In fact, the world of AR and VR requires a lot of data to process and when the network gets overloaded with traffic, it creates latency that both AR and VR can’t use with. Offering much more capacity, lower latency, and a more consistent experience, 5G will not only improve but also be a requirement for some of the most exciting AR and VR use cases as well. Compared to 4G, 5G can offer a 10X improvement in throughout, a 10X decrease in latency, a 100X improvement in traffic capacity, and a 100X improvement in network efficiency. 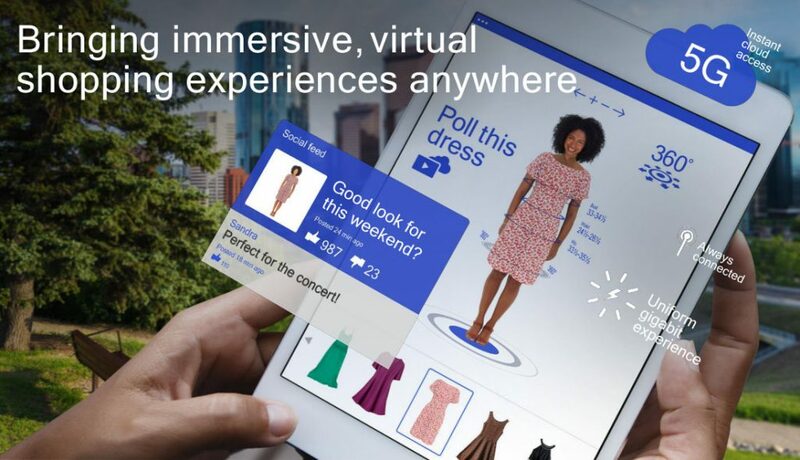 While the 5G technology matures, it will become fundamental for AR and VR services and experiences to be ubiquitous across heterogeneous networks, including 4G, 5G, and Wi-Fi. Moreover, 5G is expected to enable VR devices to offload the intensive computational work they require to the cloud. Dubbed Edge computing, this now means using the low latency of 5G, sub ms computing will be possible from the cloud. As of now, the idea of enhanced 4G network coverage called as Gigabit Class speed is already in work assisting AR and VR applications more viable. Having said that, the arrival 5G along with its ability leverages the spectral bands and wider bandwidth for a truly immersive experience. AI and voice assistants are penetrating in each and every device possible with rapid advancement in technology. With the arrival of 5G slated for next year, it is expected to improve context awareness in AI, making it smarter, efficient and useful. Since 5G comes with higher bandwidth and lower latency, the capability of AI to access information will be quicker and more reliable in a broad range of environment. To be more specific, the smartphones and other voice-enabled gadgets can rather cut down the amount of processing done in the cloud and use more on-device intelligence or high-speed low latency 5G communication with the wireless edge. Moreover, the reliable 5G connection will allow AI-enabled devices to rectify their mistakes and recognise situations correctly in order to get the job done right. When it comes to the Internet of Things, 5G acts as a catalyst. 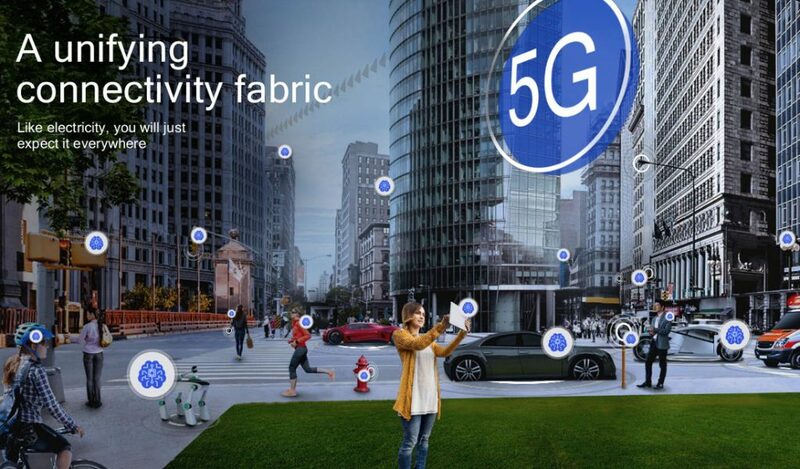 One of the major use cases of 5G is to help us realize the vision of connecting virtually everything around us. With flexibility, 5G air interface can scale efficiently for all kinds of applications right from autonomous vehicles down to ultra low-cost sensors. Moreover, the 5G will build on LTE IoT, which is part of the latest wave of LTE Advanced Pro innovations to support low data rate, latency-tolerant IoT applications. 5G/LTE massive IoT will provide the scale to efficiently connect these low-complexity devices. 5G will also be able to deliver multi-Gbps peak rates, ultra-low latency, massive capacity for high-performance IoT applications and highly reliable communication needed for industrial IoT. 5G will redefine automotive by offering multi-gigabit speeds for immersive user experiences, as well as, new infotainment, telematics and teleoperation use cases. However, the evolution to 5G New Radio (5G NR) doesn’t stop there. In addition to 5G network communication, 5G will also define a direct communication mode that will allow cars to communicate with each other directly for autonomous driving use cases – without dependency or reliance on wide area network coverage. 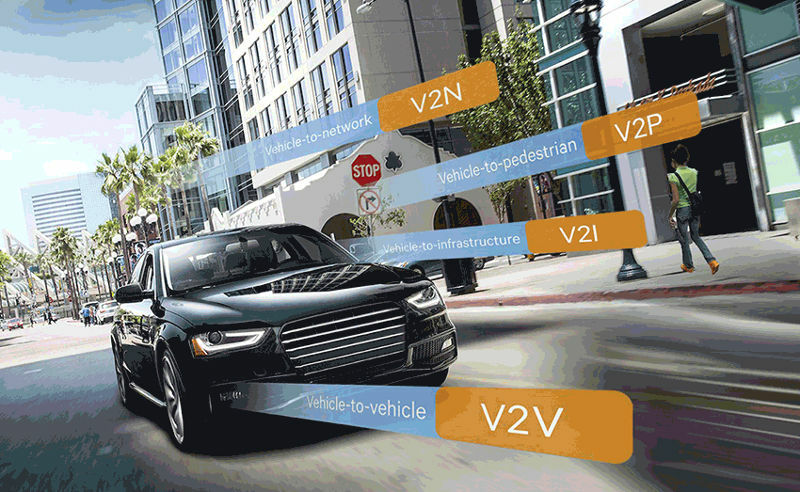 This is based on today’s vehicle-to-everything communications called C-V2X, which includes allowing vehicles to communicate directly with each other (Vehicle-to-Vehicle or V2V), to pedestrians (Vehicle-to-Pedestrian or V2P), and to roadway infrastructure (Vehicle-to-Infrastructure or V2I). Autonomous vehicles will rely on several different kinds of sensors to be able to detect and infer their surroundings and road conditions. While sensors such as radar, and camera systems are essential, these sensors are limited by their line-of-sight (LOS) operation. C-V2X direct communication complements the capabilities of these sensors by providing 360-degree non-LOS (NLOS) awareness, extending a vehicle’s ability to detect farther down the road — even at blind intersections or in poor weather conditions. C-V2X will take this NLOS awareness to the next level. The high throughput and ultra-low-latency capabilities of 5G C-V2X will enable autonomous vehicles to directly share their perception of the road, road conditions and surroundings, with each other and with road infrastructure in an efficient manner. These capabilities are designed to allow the vehicles to build a real-world model of the surrounding environment by sharing high throughput sensor data with each other. In addition, vehicles can convey their intention and planned movements to each other using 5G C-V2X, enabling better autonomous path planning with a higher level of predictability and determinism.